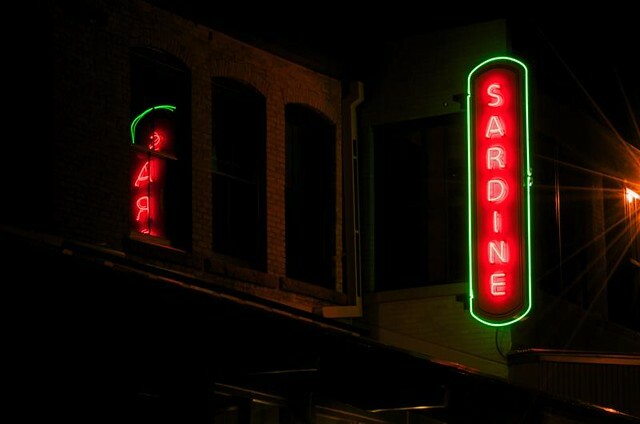 The glow of the sign itself, the partial reflection in the window, and the flare from the nearby light all add up to a photo to linger upon. I hope you enjoy it as much as I do. I really like this shot. I think it's the light just out of the frame on the right - the little lens flare you get, and the ambiguous reflections along the bottom really give it that little extra something. Well done.